There are some users who often wonder whether they should switch to Chromebook since all they need the computer for is the web. More and more people use the PC for nothing but browsing the Internet thus lessening the dependence on the core operating system. Though Google spotted a huge market there, it never really reached the popularity it expected of that endeavor. Thankfully, though, Ubuntu too spotted this hole and started integrating more and more web services into its desktop. 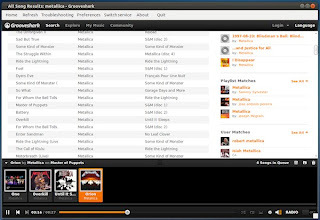 In fact, the latest version of Ubuntu (Quantal Quetzal) also comes with tight integration with web services. That said, you wouldn’t have to use the most recent version of Ubuntu to get the best web services on your existing Ubuntu desktop. You can in fact add all those services on your current desktop by simply installing a few packages. Once installed, you won’t have to visit your favorite sites like Evernote, Picasa, Twitter, and more from your web browser. So, without much ado, here are some steps that will help you integrate the best web services into your Ubuntu desktop. Ubuntu’s latest feature lets you integrate the best web services on your desktop. However, you can try out this handy feature on your Ubuntu 12.04 desktop without any issues. 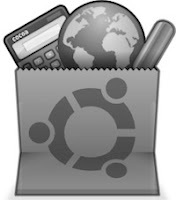 Once installed, you will be able to use websites as if they were native Ubuntu applications. The application supports services like Yahoo Mail, Google services like Gmail, Google Calendar, News, Google Plus, Reader, YouTube, Launchpad, Facebook, Twitter, Grooveshark, and more. Also, you’ll find services like Grooveshark, YouTube and Last.fm integrating tightly with the sound menu allowing you to control songs right from your panel. Though there is no official Evernote app for Linux yet, developers have come up with some nice alternatives to the service. One-upping the resource-hogging and somewhat clunkily designed Nixnote comes Everpad. It is a free application that integrates Evernote into your panel and dash menu. Once installed, you’ll be able to create new notes, search for saved ones, and much more. 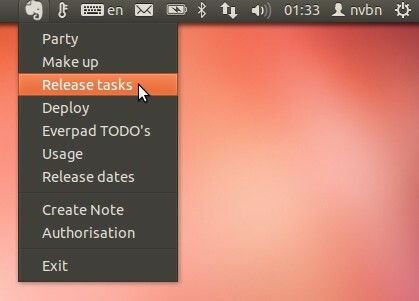 In fact, the app has enough features to make you forget about wanting an official Evernote app on Ubuntu. If you’d like to add services like Grooveshark, Pandora, Google Music, Rdio, Amazon, Hype Machine and 8tracks right into your desktop, then simply install Nuvola Player. It is a free application that lets you listen to music from the aforementioned web-based services as if you’re listening to them natively. What’s more, there’s keyboard shortcuts support, notifications, and sound menu integration. Everpad looks like a great application.